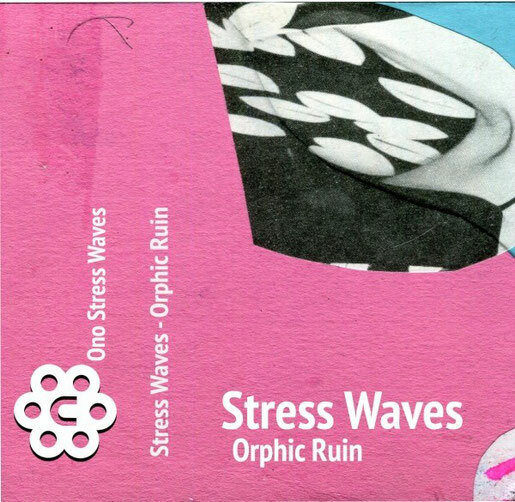 **Edition of 50 with riso inlays** Michael Holland's Ono pull out a post punk pop peach by Brisbane, Australia's Stress Waves. Discovered via Gnod's Paddy Shine, the group's debut release, 'Orphic Waves' is a magical tribute to that original era of moody men with moodier synths, guitars and toiling drum machines. Yet it's no mere rehash; the duo of Nick Williams (vocals) and Errol Hoffman (synth, guitar, bass, mixing, artwork) have really juiced the essence of that sound - think The Cure, Joy Division, 4AD - to its most potent components, all woozy synth chords, flopping bass guitar lines and ashen-faced vocals, much in the same way as John Maus or Ariel Pink did, and with the hooks to match. Picked out by the label whose 'Stopped Clock Chimes' CDr was just noted in Fact magazine's top 100-releases-of the-decade-so-far list, you know they're onto something… Tip!